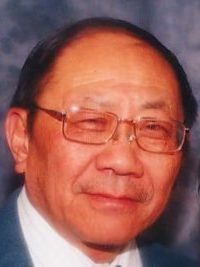 David Chan - Edmonton's Burial & Cremation Professionals | Trinity Funeral Home Ltd.
David Chan passed away in his sleep on March 30, 2019 at Glastonbury Mews Assisted Living Facility in Edmonton, AB Canada. Son of C.Y. and Olive, he is survived by his wife Faline; his brothers Darkin and Daniel; his children Davidson, Godwin, Vivien, and Edmond; and his grandchildren Emily, Ellie, Erick, Dieterick, Vivianna, and Rebecca. Born in 1936 in Hong Kong, David was the oldest of three boys. He grew up and worked in Hong Kong while his brothers went overseas to study. His father, C.Y., was a radio operator for Civil Air Transport so David joined the company as an Avionics Technician. David married Faline Lau in 1962 and had three children Davidson, Godwin, and Vivien. They immigrated to Canada in 1966 to Vancouver and then to Edmonton in 1969 where he secured work as an Appliance Technician. That was because there was no work for him at the airports. 1973 was an eventful year for David and the family as that was the year Edmond was born. Ed was the only child that was Made In Canada. It was also the same year when David’s parents immigrated to Canada and when he moved the family to their new permanent house. David had many hobbies – photography, kung-fu, fishing, and watching television. His kung-fu style, Wing Chun, stemmed from his training with his Hong Kong master Ip Man, the same master that taught Bruce Lee. David would go on to co-found not one, but two kung-fu clubs in Edmonton. He also tried his hand in other businesses, ranging from partnerships in an Appliance Repair shop to a Funeral Casket store. David loved fishing and took his family on many trips around the province. He also liked to travel and went on many road trips, the most memorable ones being through the Rockies to Vancouver. This exposed him to the many splendours of Banff and Jasper, from which there were many repeat visits. David was an avid sports fan supporting both the Edmonton Oilers hockey team and the Edmonton Eskimos football team. He was fortunate enough to watch hockey during the Oilers Gretzky era and was a season ticket holder to the Eskimos when they won their 5 straight Grey Cups. Throw in television and Dim Sum, and he was good for the weekend. David lived life under his own rules and was very set in his ways. Nothing from doctors, friends, or relatives would influence how he lived – and he continued this view point until his dying days. He was definitely a unique individual and may his soul finally find the peace and the happiness he deserved. He will always be with us – he will be missed.